Here's where you can relax in the busy city. (SPOT.ph) Pasig City is always buzzing with all the towering office buildings, hotels, restaurants, and malls in the business district. Whether you’re a Pasig City dweller or you happen to find yourself in the area and need a place to get pampered, know that there are a lot of places you can go to for a much-needed escape. 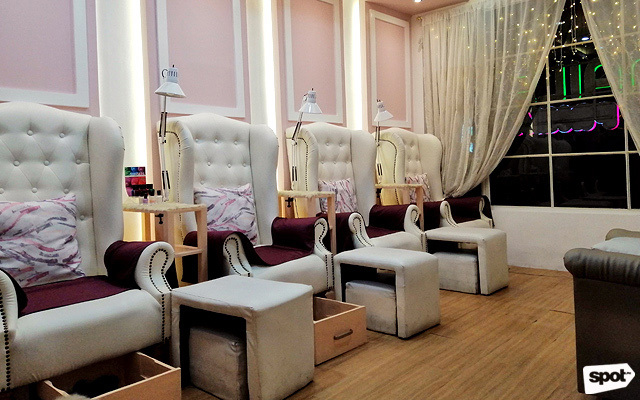 From spas to nail salons to waxing salons, we list some of the places you can go to in Pasig City whenever you feel like you're down for some me-time. If you’re up for something different, Z Spa offers unique treatments that are worth trying. Try the Banana Leaf Massage, which relieves stress, soothes joint pains, and balances the heart rate with the use of an herb pouch covered in a banana leaf as well as hot stones. Need a good scrub? The Himalayan Salt Body Scrub rejuvenates skin cells while improving blood circulation and providing therapeutic benefits thanks to the nutrients packed in the Himalayan salt. 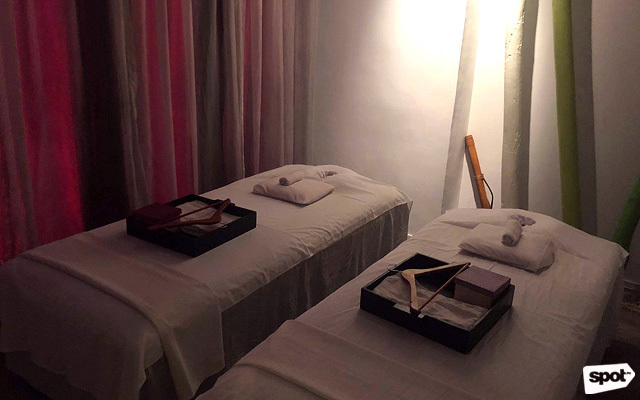 Z Spa is located in the heart of Kapitolyo, so if you’re planning to go on a food trip around the area, you might want to consider ending your day with a relaxing spa session, too. Z Spa is at 2/F Ace Hotel, Brixton Street corner United Street, Kapitolyo, Pasig City. To book an appointment, contact 637-1699, 0917-117-2428, 0928-504-8485, or 0943-708-7339. You can also make a reservation online. Whether you’re having a staycation at Marco Polo Ortigas or you just happen to be in the area with a lot of time to kill, indulge yourself and head over to Flow Spa and experience their Flow Signature Massage. Their signature treatment merges Eastern and Western techniques, featuring Thai stretching, Hawaiian Lomi Lomi strokes, and a special blend of essential oils that helps relieve stress—perfect for after-work hours. Apart from massages, they also offer different kinds of body scrubs and facials. Flow Spa is at 22/F Marco Polo Ortigas Manila, Meralco Avenue and Sapphire Road, Ortigas Center, Pasig City. To book an appointment, contact 720-7777 local 6756. Located on the fifth floor of Holiday Inn Galleria, NEO Day Spa can give you a relaxing break after a long day of shopping. They offer a variety of treatments, from hand and foot spas to full body massages. Their signature massage, Zen Bodywork, is a combination of acupressure and Western osteopathic and therapeutic massage. If you want different treatments in one visit, you can opt for their packages. Reflect, also known as Neo Spa Sampler, includes hand and foot reflexology, aromatherapy scalp treatment, and tension relief massage. Apart from providing fresh robes and disposable underwear, they also offer different kinds of hot tea so you can really get cozy. Neo Day Spa is at 5/F Holiday Inn Hotel, Ortigas Avenue, Ortigas Center, Pasig City. For reservations, contact 0921-477-9999. On the go and need a quick manicure? Nail Tropics has you covered. Their signature beach chairs are so comfy, you’ll feel relaxed the moment you sink into them. They group their services into three: Blissful Treatments (like manicure and pedicure paraffin), Organic Delights (manicure spa and pedicure spa treatments), and Pruning Specials (cleaning, trimming, polishing). 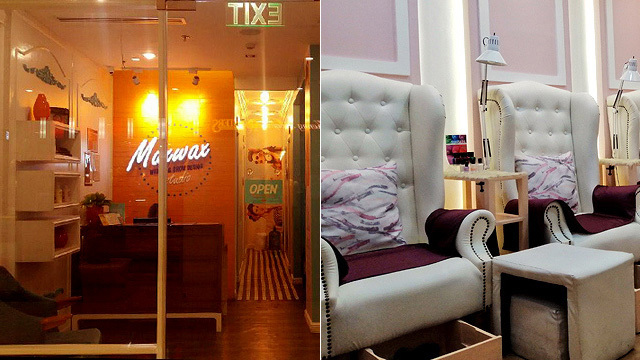 If you’re in a hurry, they offer a 30-minute manicure for P150—not bad, right? Nail Tropics is at LG/F Ayala Malls The 30th, Meralco Avenue, Pasig City. To book an appointment, contact 403-4992 or book online. When you want to get your nails done somewhere peaceful and quiet (read: not inside a buzzing mall), do it at this neighborhood nail salon. I Do Nails Prima is a quaint little nail salon that looks like your childhood dream bedroom. Just settle into one of their posh couches and get ready for a relaxing treatment, whether you’re getting a manicure, foot spa, or both. You’ll walk out with picture-perfect tips, that’s for sure. I Do Nails Prima is at 136 West Capitol Drive, Barangay Kapitolyo, Pasig City. To book an appointment, contact 0917-157-7462. Treat yourself to a fresh manicure after a brunch date with your friends. 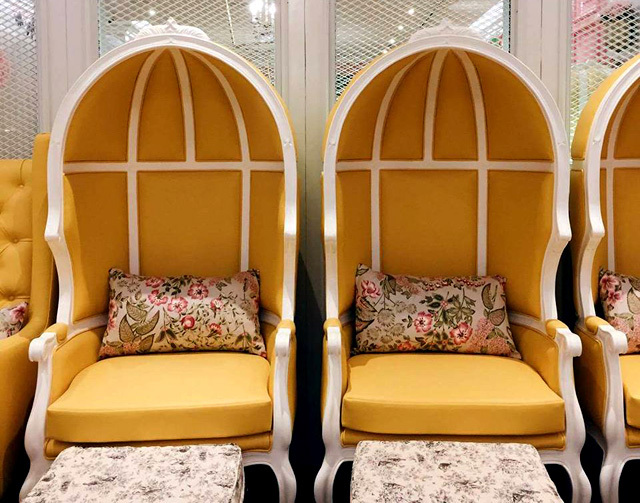 French Tips at Estancia Mall features IG-worthy Paris-inspired interiors, you’ll want to take a snap of every corner! To level up your experience, go for their foot reflexology treatment—you won’t regret it. French Tips is at LG/F Estancia Mall, Capitol Commons, Pasig City. To book an appointment, contact 941-7263. 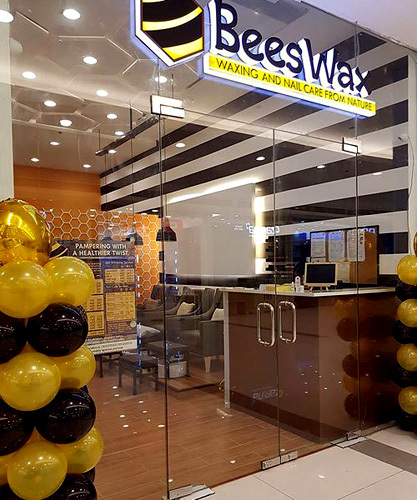 When you need a quick waxing treatment, you can count on BeesWax to do the job in no time. They make use of organic and non-toxic products, so you don’t have to worry about harsh chemicals irritating your skin. Plus, they have warm and cold wax available, which is great for people who love having options. Apart from waxing treatments, they also offer nail care services. The best part is that their rates won’t break the bank! BeesWax is at B/L Estancia Mall, Capitol Commons, Pasig City. To book an appointment, contact 668-2561. Maxwax’s interiors feature '50s-inspired pin-up posters with bright pops of color. 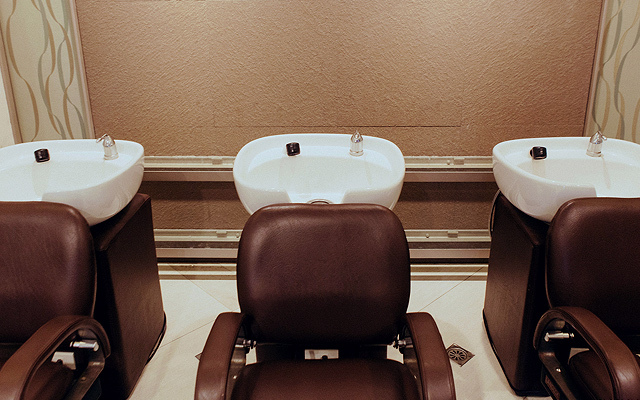 There are about four to five private cubicles for waxing, all featuring cozy seats and beds that are enough to make you feel comfortable. You’re in for a unique experience because Maxwax uses strawberry wax, so it’s pink and has a pleasant smell—you’ll forget why you’re even there in the first place. Maxwax is at L/G Ayala Malls The 30th, Pasig City. To book an appointment, contact 0956-846-2352. 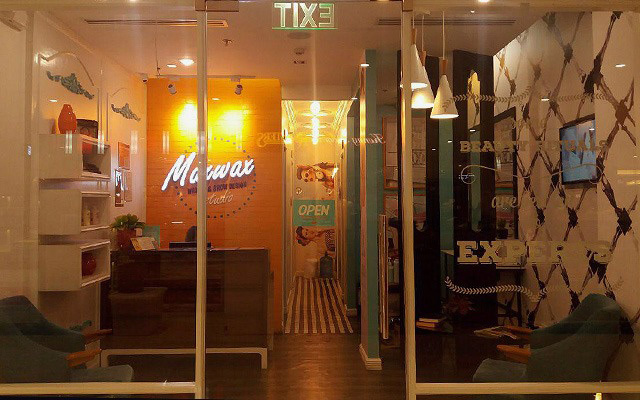 Flirt Waxing Lounge is your one-stop shop for all things beauty-related. Whether you need a good wax, a foot massage, a fresh mani, or even eyelash extensions, you can do all that and more at any of their branches. The best part? They have wallet-friendly rates! One of their must-try packages is Bikini Ready, which includes an underarm wax, half-leg wax, and a Brazilian wax all for P1,150. 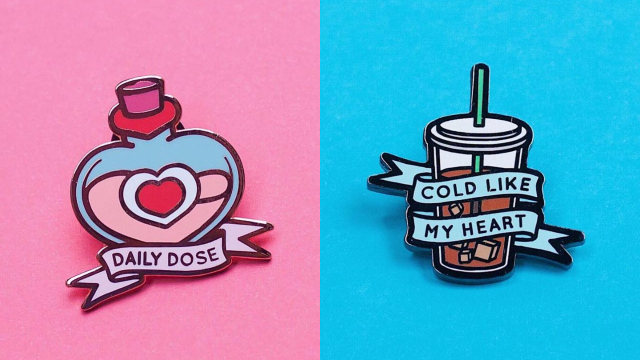 Pretty sweet deal, right? Flirt Waxing Lounge is at 91 East Capitol Drive corner Sta. Clara Street, Kapitolyo, Pasig City. For reservations, contact 584-8819. Piandré is where you can get a brand-new 'do with the help of the salon's well-trained hairstylists. Fun fact: All their stylists were trained by Piandré’s Creative Director Andrea Zulueta-Lorenzana, who obtained a diploma course from Vidal Sassoon Academy in London, so whether you need a fresh cut or just need your hair to be styled for a special event, you can be sure your tresses are in good hands. Piandre is at LG/F Ayala Malls The 30th, Meralco Avenue, Pasig City. For reservations, contact 696-2983, 721-5271, or 0917-655-9558. You can also make a reservation online. 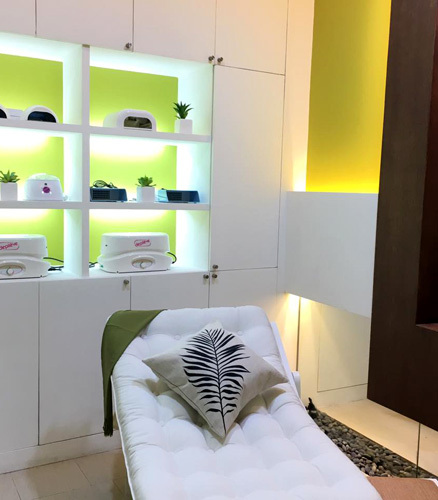 Featuring clean, Zen-inspired interiors that will instantly set you into a relaxed mood, Regine's Salon has been around since 1983 (formerly Pierre's Salon) and the key to their success is the quality of their service. Not only do they give their customers the hairstyle or hair color that they want, they also make a conscious effort to build relationships with them, which keep their customers coming back. In fact, some of their clients have been with them since they opened, so today, their clients' children and grandchildren are also some of their repeat customers. Regine's Salon is at Unit 4 G/F Eton Emerald Lofts, F. Ortigas Jr. Road corner Garnet Road, Ortigas Center, Pasig City. For reservations, contact 631-3291, 631-3292, or 0917-814-6131. You can also make a reservation online. 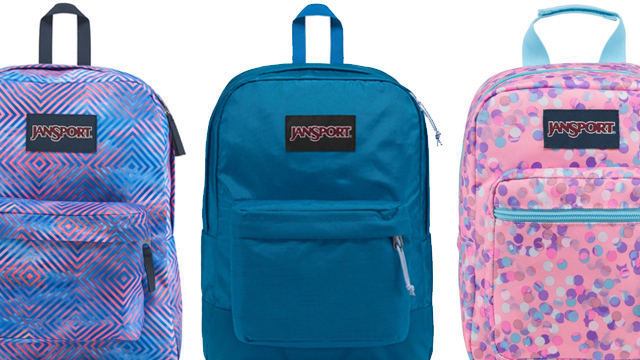 Want to update your look? Vivere Salon specializes in edgy cuts that are easy to style so you can flaunt gorgeous locks every day. Their skilled stylists have trained at the Vidal Sassoon Academy and they take into consideration every detail—from your hair quality to your face shape and even down to your lifestyle, so you'll walk out of their salon with a haircut that suits you perfectly. The best part is that you won't have to break the bank to get your dream hair, with rates that start at P390. Vivere Salon is at G/F Estancia Mall, Meralco Avenue, Ortigas Center, Pasig City. To book an appointment, contact 638-7622.